Every year Lahti University of Applied Sciences (LUAS) sends a great number of its students abroad for an international week. 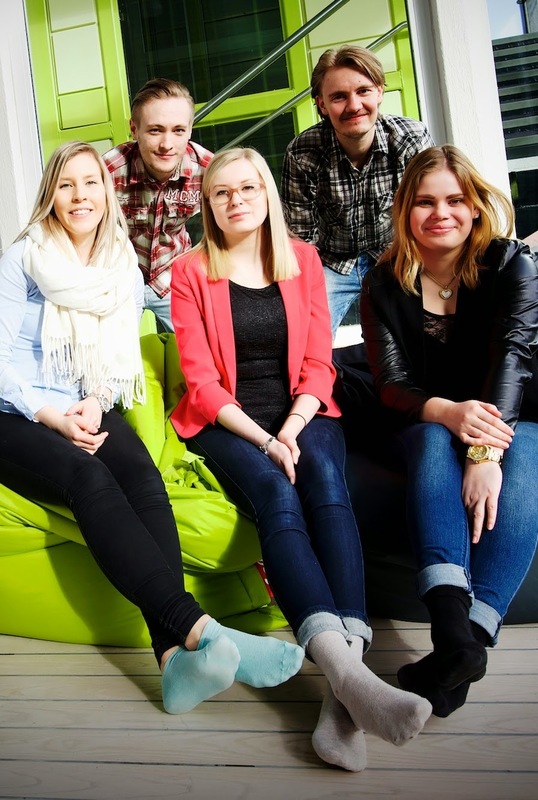 Every year the students return to Finland with a fistful of great experiences. These are the experiences from Haag, the third biggest city in the Netherlands. I and three other students from LUAS decided to go to Haag this spring. Before the trip we were given a preliminary assignment. Our task was to study and analyze the Finnish beer market and breweries. Since there are just three major companies with only a few brands in the Finnish markets, the assignment was quite clear. So, we did an informal presentation with some humorous advertisements. When we arrived at the central train station in Haag, the welcome was really friendly. The Action Team, a group of Dutch students involved in the project, guided us to our hotel and gave us some useful advice. I have to say that the Action Team was really awesome the whole week. I hope that the students arranging the International Week here in Finland will reach the same level. When we had met other students and the teachers, it was time to start the actual work. Our assignment was to create a mood board and a billboard for the new Heineken cider called Jilzz. This had to be linked with the marketing strategy which we also planned. The task was done in small groups, and it was a kind of a competition. 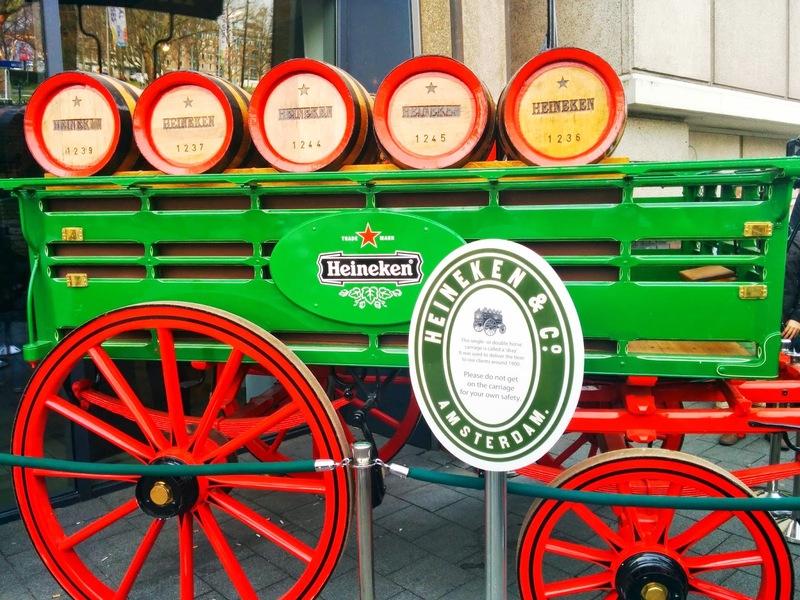 Before we began to work, we took part in the Heineken Experience. It is a visit to Heineken's brewery in Amsterdam. We learned about the history of the company, followed the journey of the beer from the fields to the glass and saw a great number of Heineken ads from the past decades. It took almost three hours to finish the experience, but I think that there would have been even more to see and do. After the trip we knew the basics such as the values, the mission, the vision and Heineken's products. But of course we wanted to know more about the specific product, Jilzz. That’s why the Marketing Manager of the company gave us a two hour presentation. It was mainly about what they had already done, and our task was to create something totally different. There were eight groups of four students. First each group decided its own idea and a target group for the product. After this we created the mood board. It should describe the feeling, a mood, which the product represents. This was not that easy, since you had to have a specific, creative, mind setting on for the task. After hours of work, there were eight mood boards to present. The teachers and experts gave us feedback and also tips for the coming task. The final assignment was to create a billboard for the product. And the guideline was not to do something thad had already been done but to do something totally new. There were some fabulous things such as puzzles, holograms, stories and trees on buildings, just to mention a few. The best ones were awarded, and the winner’s billboard was sent to the Marketing Manager. All in all the week gave a lot for the students. We learned something new about marketing, but especially we learned how to work in an international group.